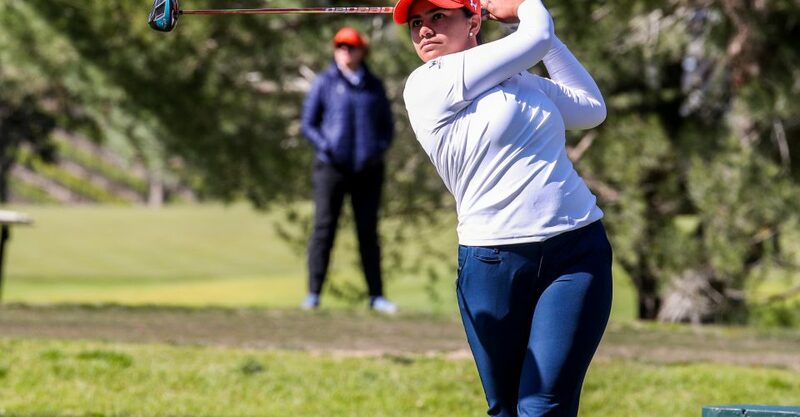 Pepperdine Women’s golf got off to a slow start in their spring season with ninth and sixth place finishes at the Bruin Wave Invitational in San Luis Obispo on Feb. 25 and 26 and the Juli Inkster Invitational hosted by the University of San Francisco March 18 and 19. The team also played in the Lamkin Invitational hosted by San Diego State Monday through Wednesday. Good performances in the stroke round earned the Waves the top seed in the match play, but they lost to eighth seeded Sacramento State 3.5-1.5. Freshman Kathrine Chan finished first on the team at the Bruin Wave Invitational, finishing tied for 15th overall at 11 strokes over par after birdying three holes in the last round. Chan’s performance at the Bruin Wave Invitational impressed senior Hira Naveed. Head Coach Laurie Gibbs wrote in an email that the team needed to shake off the rust after not playing in a tournament for four months. Naveed said the San Luis Obispo Country Club, where the tournament was played, is one of the hardest courses the team plays all year. The Waves had a similar performance at the Meadow Club in Fairfax, California, for the Juli Inkster Invitational. Naveed finished first on the team at University of San Francisco’s tournament at three strokes over par with a first round that was two under and an even third round. Although the team finished sixth out of 12 teams at the tournament, Gibbs wrote in an email that the team worked well on things that will help them once the postseason rolls around. All three spring tournaments Pepperdine played featured two rounds on the first day. Unlike the other spring tournaments, the Lamkin Invitational features match play. The stroke round uses normal team scoring to determine the seeds for a bracket style championship tournament. Individuals go head to head through 18 holes to try to win a point for their team. In stroke play, senior Hannah Haythorne and junior Momoka Kobori tied for second place overall to lead the Waves to the No. 1 match play seed. Against Sacramento State though, Chan won with three strokes up and two holes left, Kobori tied her opponent and Haythorne, Naveed and senior Patricia Wong all lost their matchups. The Waves came back strong Tuesday and beat Texas Tech 3-2, with Naveed, Kobori and Wong scoring points. Pepperdine will travel to the Silverado Country Club for the University of Colorado and University of Oregon’s Silverado Showdown. Gibbs said in an email that Silverado will be a good chance for the team to play against a strong field and work on the little things to prepare for the postseason. The Silverado Showdown is the Waves’ last tournament before the West Coast Conference and NCAA Regional tournaments. Despite the sluggish start to the spring, Naveed said she thinks the team is on the right track. Chan also feels confident the team will be ready for the Regional and qualify for the NCAA National Championships.